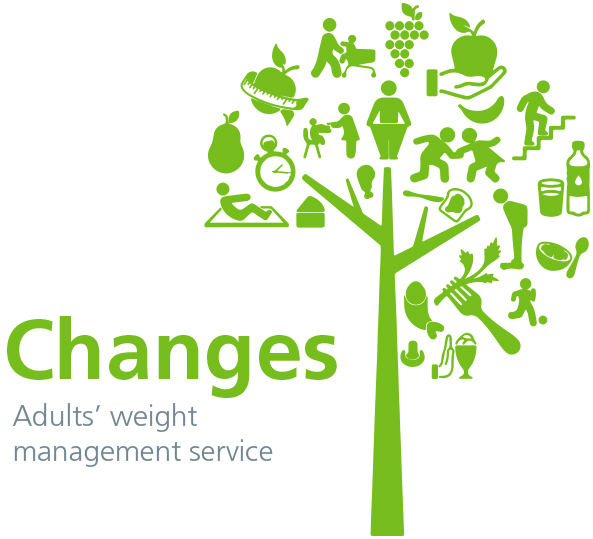 Changes is a free weight management programme for adults in Knowsley, delivered by the North West Boroughs NHS Foundation Trust. An expert team provide practical support and advice to help you make positive lifestyle changes to lose weight and improve your health and wellbeing. Food and Eating pattern – Dietitians will advise and work with you towards a healthier diet. Physical activity – working jointly with Activity for Life, Changes will support you in increasing your activity levels, which will help you to make long term lifestyle changes. Behaviour – Cognitive Behavioural Therapists (CBT) can help you understand how thoughts and feelings link with behaviour. This can help you recognise what might be causing and maintaining weight gain and how you can change those behaviours. Support is offered individually and within group sessions. To sign up to Changes, simply contact your GP or health care professional who can refer you into the service. Alternatively, you can self-refer by calling the Healthy Knowsley Hub on 0800 0731 202. Changes has helped hundreds of people in Knowsley to manage their weight, including Kate, who realised she needed to lose weight but wasn’t sure where to start. Her GP referred her to the Changes weight management service in Knowsley for support. “I’ve been overweight all my life, but things started to get out of control and by the age of 32, I was over 21 stone. I’d already tried seeing a dietitian a few years before, which didn’t work out. I now know this was me self-sabotaging again. In my head I needed a gastric bypass – I thought the operation was the only thing that could save me. When I was 34, I finally bit the bullet and made an appointment to see my GP to ask for help. She was amazing and I got very emotional during the appointment – mainly because I wanted a baby desperately and would not try when I was the size I was. My poor body ached so much now, so how could it possibly cope with a baby inside it too? My GP referred me to Changes weight management service. My first appointment was so different to my past experiences – Suzanne my dietitian was lovely and she listened so intently and went through the whole process with me. I didn’t want to go to group classes, so we did individual sessions every four weeks which I looked forward to. The weight started to fall off and I felt amazing. My exercise was just walking but I’d gone from 1,000 steps a day to 10,000 and made sure I got them in every day. I felt so good I signed up to complete 10,000 steps a day in June 17 for Cancer Research UK, and I smashed it! Over the course of the months my steps eventually reached over 20,000, even if some days it was just power walking on the spot. I’d never felt healthier. I could never have done this without Suzanne, she was my saviour and I totally believe that the weight loss is down to seeing her.